Note: Ball Slam weight is 20lb. for men and 12lb. to 16lb. for women. The weight on the Kettlebell Swing is 25lb. for women and 35lb. for men. Height on the Hurdle Jump is variable. Advanced male Athletes should strive for a 30 inch hurdle and women a 22 inch hurdle. One “GI Jane” consists of a full Burpee followed by a Chest to Bar Pull-up. Modifications for the “GI Jane” will be briefed in the gym. This workout is based on the CAMP Program that UFC Fighter Gray Maynard and Greg Amundson are doing in preparation for Gray’s UFC Fight on November 30, 2013, at the MGM Grand in Las Vegas, NV. 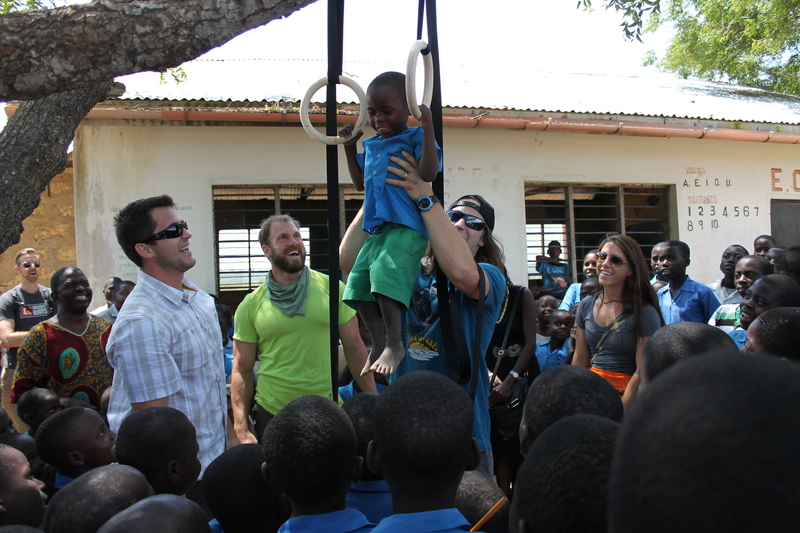 Andy, Greg and Dallin teach the Pull-up in Kenya!